The future is hands free. You might have heard of Airdog before - the drone designed for extreme sports photography that automatically follows the user around. The creators are back on Kickstarter to fund their latest UAV, the Airdog ADII, which is the product of a couple of years of taking feedback from users of the original drone. And it looks awesome. Shipping without a dedicated controller, the Airdog ADII uses only the AirLeash accessory as a point of lock, following around whoever is wearing it. 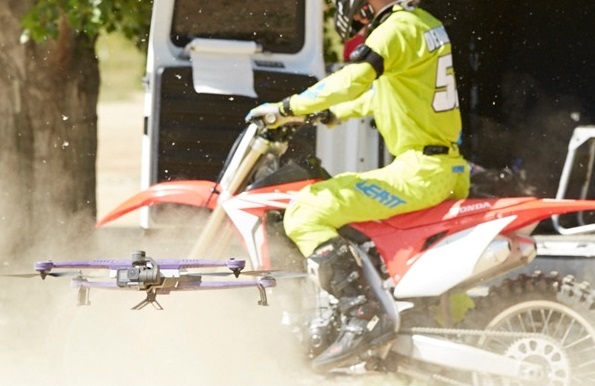 But the the updated drone can even take pre-programmed commands via the associated smartphone app, and uses LADAR to avoid obstacles in its path. Just like the first Airdog, the ADII can be folded up to store in a carry case, but is now waterproof, which is great news if you're wanting to film yourself water skiing. Like we all do from time to time. 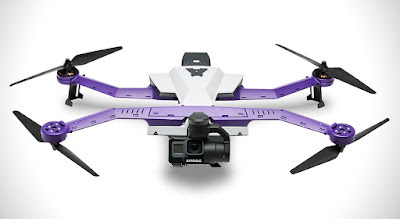 So although the Airdog ADII might not be your go-to drone for snapping a selfie or grabbing aerial photography, if you're an EXTREEEEEEME adventurer, this is for you.